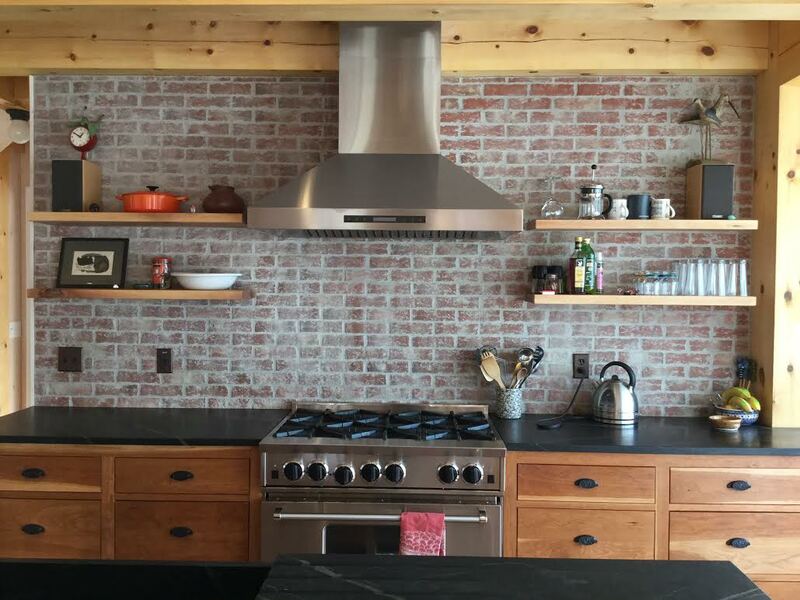 We use the same high-fire red clay for all our custom brick tiles to make them strong and durable, and the beautiful color variations come from other clay powders, oxides, and wood ashes fired into the tiles, as well as reduction firing of the tiles in a gas kiln. Sometimes where the tiles are in the kiln will affect the colors of the clay, or how the kiln is loaded will affect where the gas flames lick around the stacks of tiles. 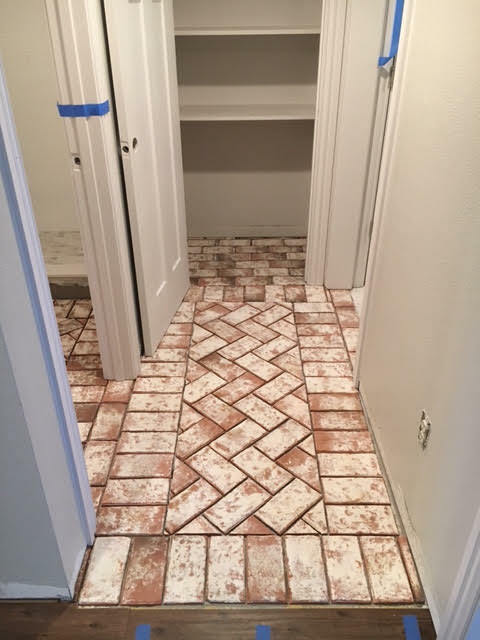 As a result, every tile is unique, making your ceramic brick floor, wall or ceiling one-of-a-kind. 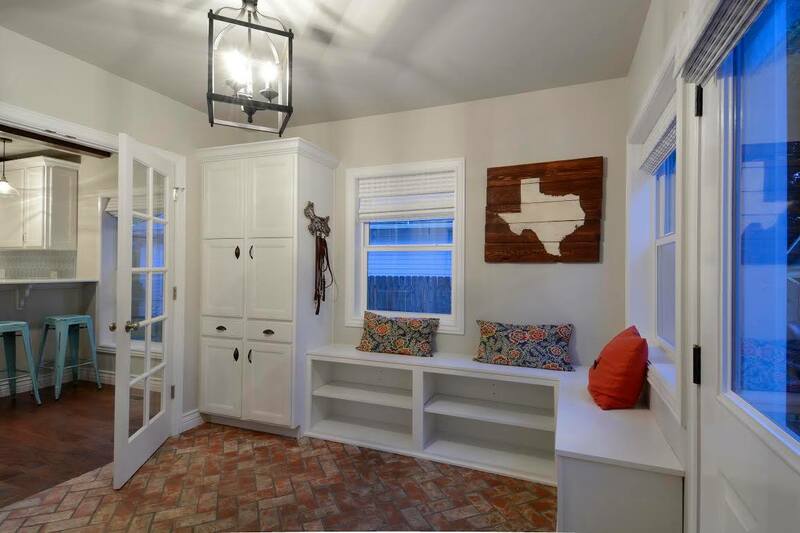 Everything project we do is custom, according to your vision for your home or business. You can either use the suggestions below or request your own combinations. 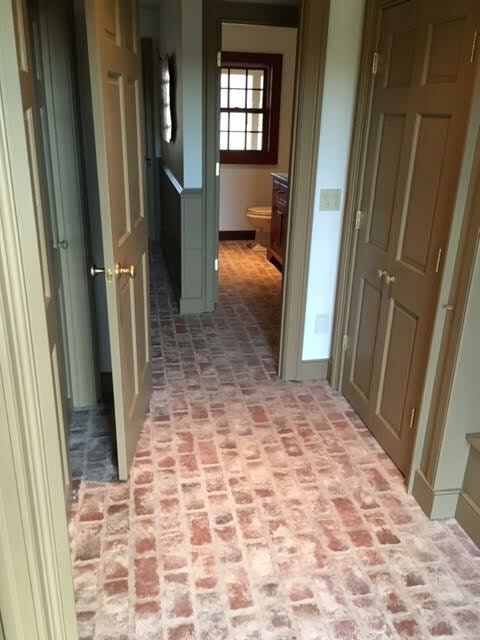 The sealers you choose can affect color and shine, and the grout colors will change the look of your project. We can talk through all these options with you to help your project turn out just as you imagine. 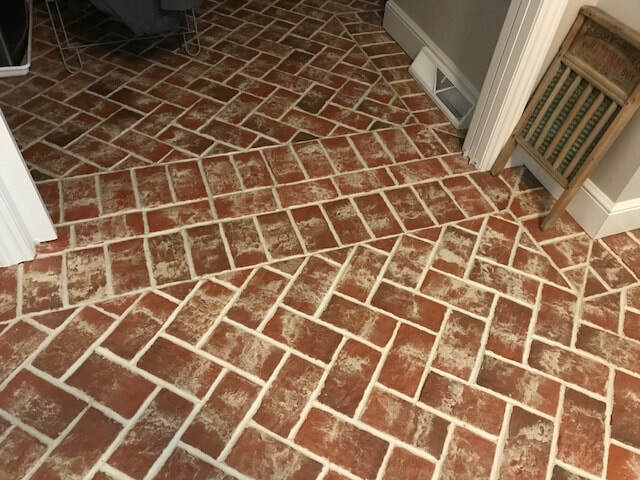 The standard Old Strasburg color mix is for a plainer red brick floor tile or wall tiles, with the color variations coming only from where they are fired in the kiln. Add the variations of other clay powders, ashes and oxides, and you will get those finishes on the same variety of background tones as the Old Strasburg standard mix. Remember that any of the color mixes you see on the pictures can be reproduced on any of the molds in our collections. For example, if you see a picture of Wright's Ferry that you like, that color way can be made on King Street, if you like that style better for your project. So, 1st: Pick a style (the shape, size and texture you like), and 2nd: Browse the portfolio pictures for a color mix you like. We'll put it together for you. You can call Julie at 717-806-3900, and the two of you can look at the website as you talk -- she will guide you toward a color mix that will best approximate the picture you love. These color mixes represent some of our most popular color combinations. 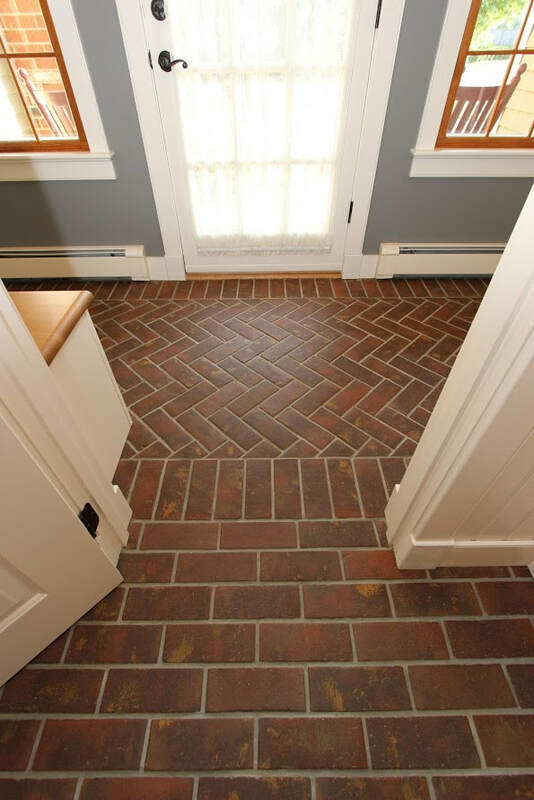 Most are named for towns in Southeastern Pennsylvania, near the home of Inglenook Tile Design. Standard, wood ash fired, and burned black tiles create a weathered brick floor or exposed brick wall. The typical ratio in 20 tiles is 10 plain, 6 wood ash, and 4 black. Elizabethtown is a color mix that includes 1/3 standard tiles with 2/3 containing some burned black tiles. 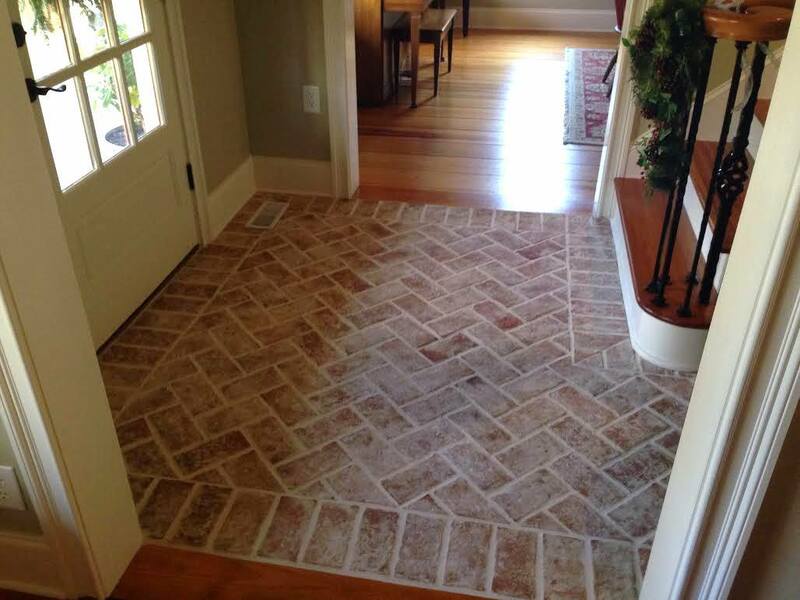 It creates a weathered brick floor or farmhouse floor. 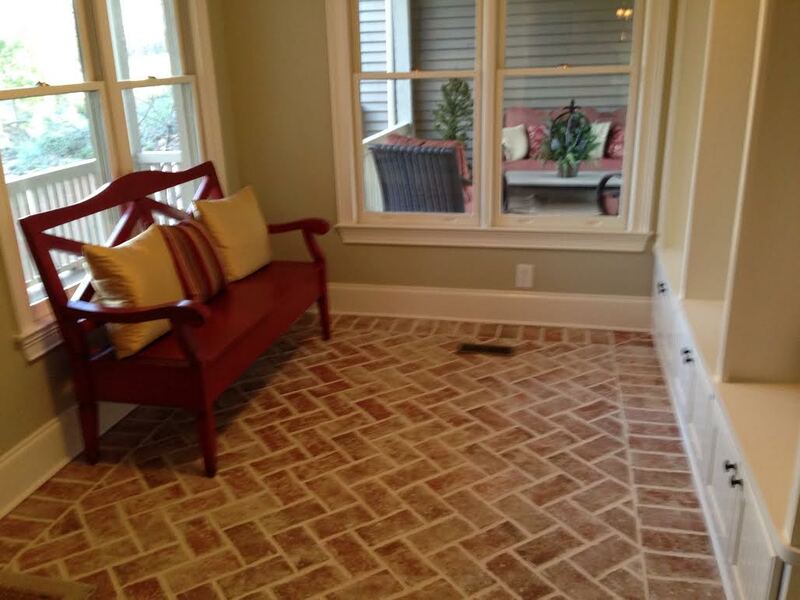 This sedate mix is ideal for red brick floors and exposed brick walls. All the pieces are in the standard color, with variation coming from where the hot and cool spots are in the kiln. Savannah honors stately brick homes and riverfront buildings in Georgia. 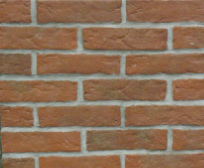 Celebrate white wash thin brick that adorns buildings. 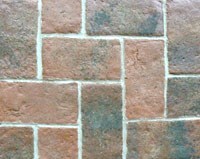 Savannah is mixed with standard brick red tones. We can also get some brown tones in the tiles with a hotter firing. 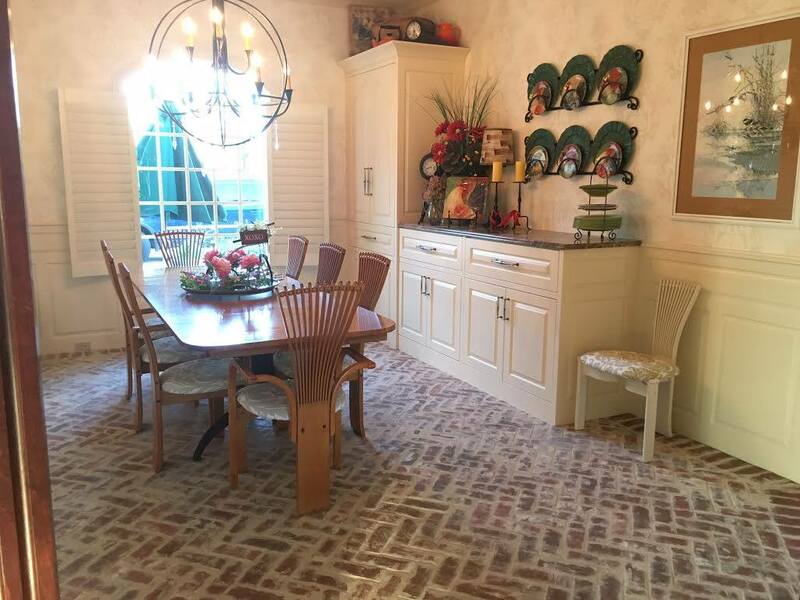 Nancy Borges' floor shows the San Sebastian tiles with wood ashes, fired hotter than our normal temperatures. 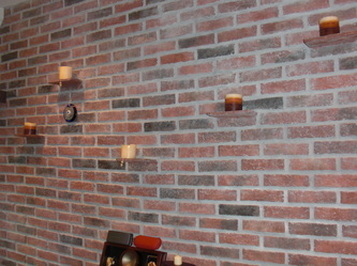 One of the most popular color mixes we make is the white washed bricks. They can be made with either a brick white porcelain clay or an off-white clay that is fired into the red brick clay. We have called this Savannah in the past, but it has evolved into more than just the plain white with the red. We found that using wood ashes with the white gives more background tonal variety, and ages them. So now, most of the Savannah mix orders have wood ashes in them also. 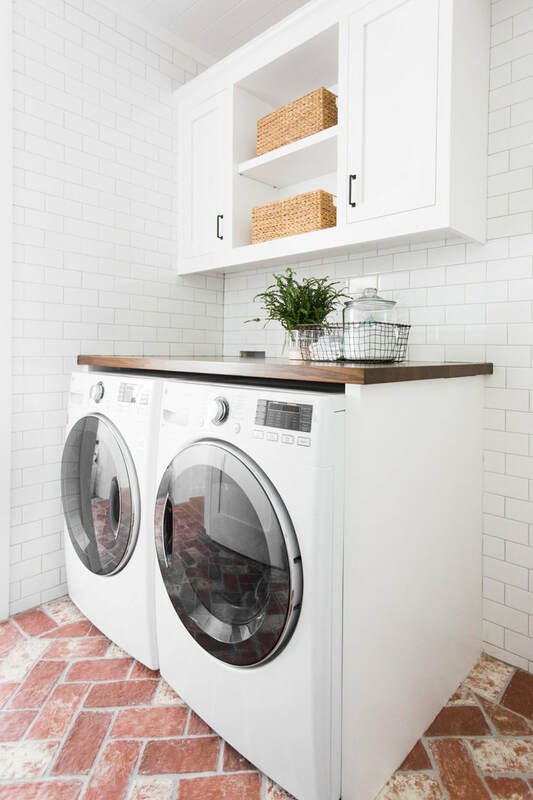 Then we had customers who wanted a more creamy off-white, so we also added clay powders of other white clays that are not as bright white as the porcelain. We usually add wood ashes to those tiles, also. The way they are sealed will change them slightly, also. This is something we often talk about on the phone, but the off-white tends to become more buff, and the bright white stays whiter, although it takes the color down a notch. 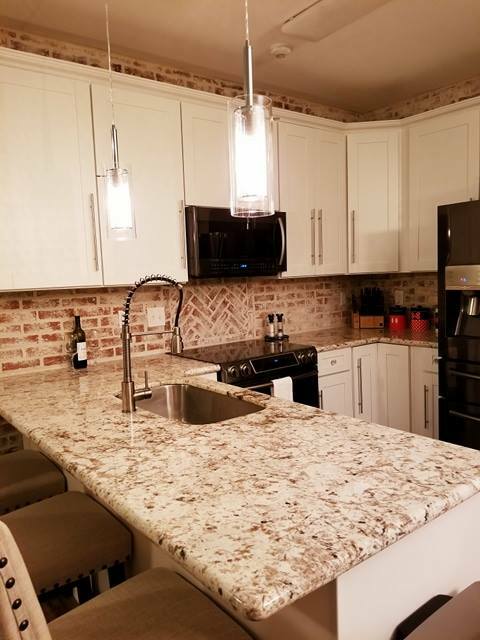 Here are some pictures you may find elsewhere on the website, but it may be useful to have some images all in one place. 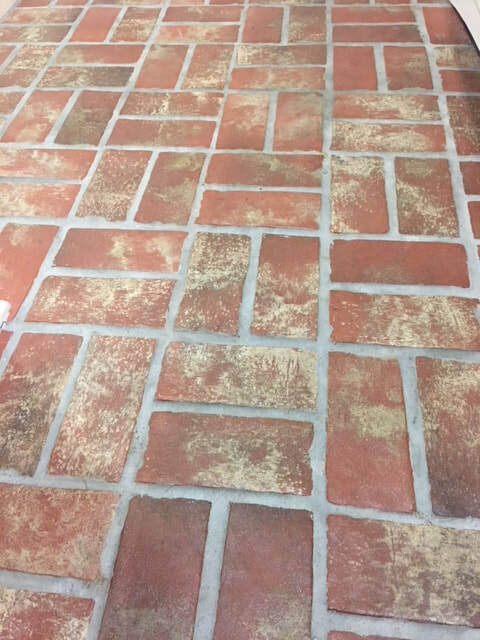 We can add more of the color to the red clay to achieve more white on your tiles, but there is some of the red always showing through. 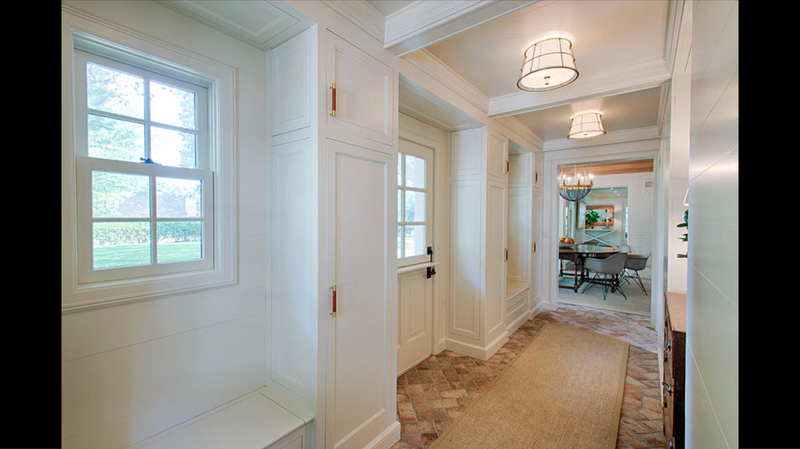 If you want a solid white brick tile, we would need to use a different clay body. It is possible for a large order. 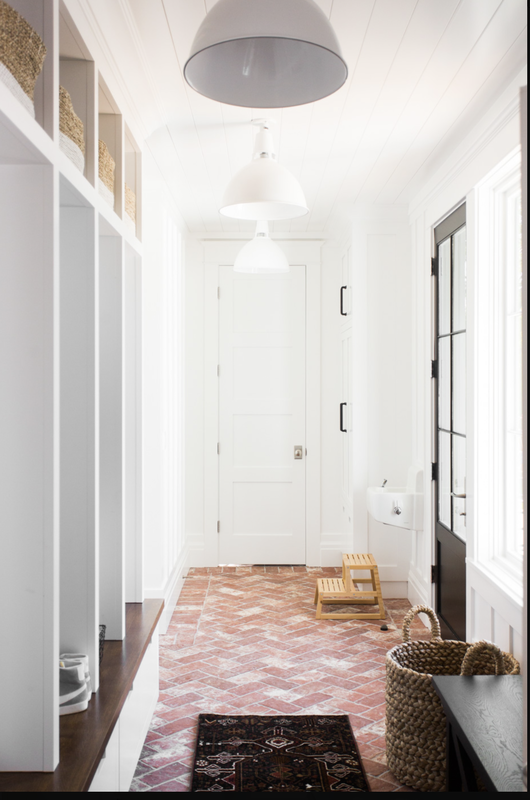 Above is Jordan Bridwell's floor, King Street tiles with off-white and wood ash. Above is Tommy Martin's floor, bright white clay and wood ashes. Above is bright white clay and wood ash, with some grout left of the surface as a haze. Above is Traditional Antique, bright white clay and wood ash. Above is Lancaster Running Bond, bright white and wood ash, with the grout broomed over the tiles. Above is Wright's Ferry, bright white and wood ash. Above is Wimer's Mill, off-white and wood ash. Above is off-white clay and wood ash. Above is bright white and wood ash. Above is Wright's Ferry bright white and wood ash. To the right is Rutherford, some just wood ash, and others with off-white and wood ash. Above is Traditional Antique, bright white and wood ash. Above is King Street, off-white clay plus wood ash.